It's a tragic day, as one of the most gifted musicians of the modern era has passed. Despite his moniker, Prince, who died Thursday at 57, was a king among men and will live on only through memory and the hours of powerful and provocative music he left behind. 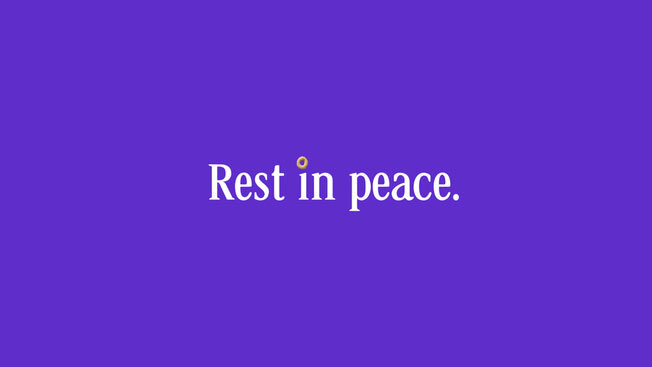 Brands, as they usually do, tried to join the conversation about Prince online with mostly purple-clad homages. That's challenging in the best of times—and doubly hard when the conversation is mostly one giant outpouring of grief. Not every brand managed it well. As of this writing, at least two brands have had second thoughts about their posts and deleted them outright. Many others remain up, though some are clearly in questionable taste—mostly because they feel overly self-promotional. The image atop this post was tweeted, then deleted, by Cheerios. 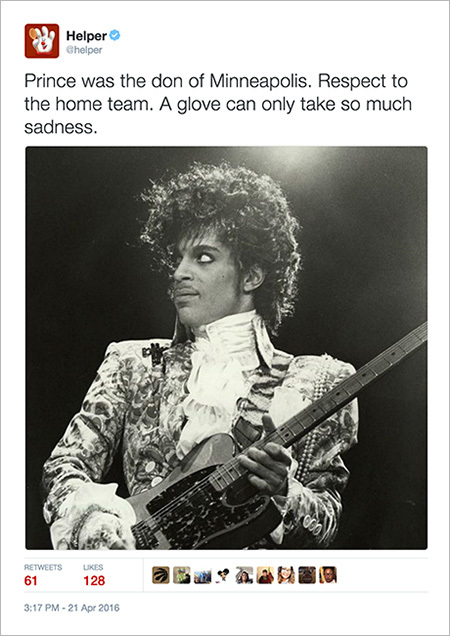 The caption read simply, #prince. Below, you can see a tweet from Hamburger Helper that was also deleted. Both suffered from too much brand presence. The Cheerios post feels like an ad, and the Hamburger Helper post flippantly, and stupidly, threw the brand mascot into the caption. As of this writing, the Maker's Mark tweet below remains up. It's actually quite a beautiful image, and while it's promotional, the whiskey brand has done purple wax dips before—so it feels less like a pure grab for attention. @Msmuffin816 we've done purple dips before but don't have any in market currently. Just wanted to bring it back as tribute. Keep an eye out! This one from Chevrolet is actually quite brilliant. Why use a blurry image, though? This tweet from Getty Images is a straight-up ad. It links to Prince photos available for purchase on the site. As helpful as that might be for news sites today, it's inappropriate. Below are a handful of tweets that are decent and heartfelt—a number of them, naturally, from brands based in Minnesota. In other words, they honored the man while keeping the self-promotion and corporate branding to a minimum. Prince was a true original and a Minnesota icon. We will miss him dearly. And finally, here is 3M, which is a good example of where things go wrong. By all means, pay tribute to the man. Just don't make it all about your brand.